Should you have already had your daily serving of “stupid things prominent members of the GOP said today,” I recommend you shut down your computer if possible and take the rest of the day off from the internet. Otherwise, buckle up. Iowa Sen. Chuck Grassley tried to defend Donald Trump's recent comments about American-born U.S. District Judge Gonzalo Curiel being too biased to oversee a lawsuit against Trump because he's “Mexican.” In a mind-numbing abuse of logic, Grassley said that if we weren’t mad about U.S. Supreme Court Justice Sonia Sotomayor referring to herself as “a wise Latina,” then we shouldn’t be mad about this latest bit of racism from Trump. When it comes to Donald Trump, there are invertebrates that have shown more spine than Sen. Charles Grassley. Now Grassley has apparently taken it upon himself to tell Iowa reporters that Trump’s comments are in fact not so racist, because sometimes Latino people use the word “Latino” and talk about other races, and so we can’t be mad. Here's how he specifically tries to justify what Republican House Speaker Paul Ryan called the "textbook definition of racism." I think that you don’t have any more trouble with what Trump said than when Sotomayor said that — when she was found saying in speeches that, quote, ‘A wise Latina woman with the richness of her experience would more often than not reach a better conclusion than a white male' ... I don’t hear any criticism of that sort of comment by a justice of the Supreme Court. First off, Sotomayor has indeed been roundly criticized for those comments by lots and lots of people. “Wise Latina” has been parsed ad nauseum for years. 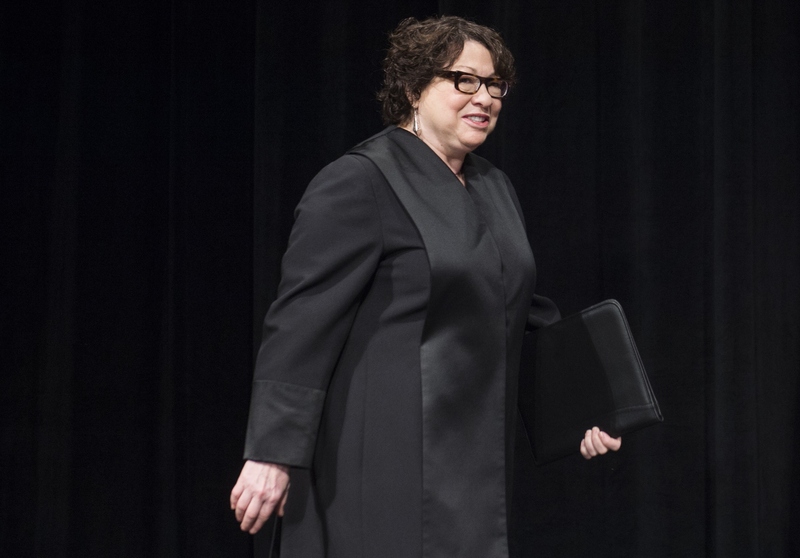 By the way, Sotomayor apologized, saying, "My play fell flat. It was bad." Secondly, a Latina woman referring to herself as Latina is in no way the same as a white man with a history of racist — and specifically Mexican-phobic comments, not to mention actual policy proposals — saying that an American-born man must be incapable of doing his sworn duty because of his ethnic heritage. Sotomayor’s remarks were controversial — a piece of history Grassley blithely denies — but they were self-reflexive, and they were intended to cast an oppressed minority in a positive light, both linguistically and in the context of highlighting what a Latina like Sotomayor could accomplish in life. Trump’s remarks were racist, they were in keeping with his pattern of racism, they were factually inaccurate, and they were targeting somebody else. They are not the same.